Imagine if the families you work with were making comments like these at the beginning of your school year. Good news: we’ve got everything you need to get families inspired and ready to soar this summer! Use the month of May as an opportunity to make sure all families have received and accepted their ReadyRosie invitation. 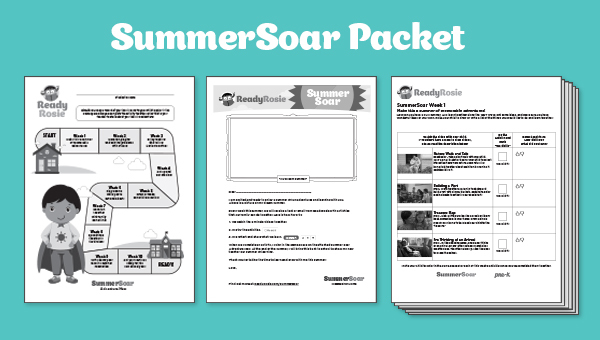 Print a “ReadyRosie Summer Soar” Packet (see below) for each child and consider an incentive for the child to log the activities and bring the completed packet back at the end of summer. Families automatically receive a Summer Soar playlist each week from ReadyRosie with the modeled videos that support their toolkit. Are your teachers looking for a simple (10 minute) end of year activity to help students transition to summer and inspire continued learning as a family? This “message for home” is written from the child’s perspective and includes a description of the content the family can expect to receive from ReadyRosie. Completing this activity is a great opportunity for educators to get children excited about doing ReadyRosie activities. The format is easily customizable for schools or programs that are interested in offering a special incentive or celebration for families who participate in Summer Soar. These playlists will be delivered weekly in place of the ReadyBaby/PreK and Elementary weeklies beginning 6/4. Summer Soar content will end the week of 8/6. While the focus of the summer content is on family bonding and fun - all the activities also specifically support literacy, math, or SEL. Week 1 - Make this a summer of memorable adventures! Week 2 - Have fun playing and solving problems with others! Week 3 - Enjoy reading and telling stories together! Week 4 - Get up and get moving! Week 5 - Draw or make something creative! Week 6 - Play a game while you’re out and about! Week 7 - Have fun together with family game time! Week 8 - Spend time together in the kitchen! Week 9 - Write down your favorite summer memories! Week 10 - Get your routines ready for the new school year! This one-page printable lays out the Summer Soar playlist themes for all ages 0-3rd grade. It’s a visual way to remind families to take time to learn together over the summer and to easily record their learning. They can present it to the school at the end of the summer. These printable playlists provide descriptions of each modeled moment so families with limited internet access can still try each activity. It also provides guidelines for families on how to give feedback and share any reflections they have. What do families say about Summer Learning with ReadyRosie? The video embedded in this blog features family testimonials and is included in the toolkit. Make use of your organization’s social media account to get this video in front of caregiver eyes. Hearing from peers about how they benefited from summer learning with ReadyRosie is a great way to get caregivers motivated. The video will also be delivered to families via the Share platform. 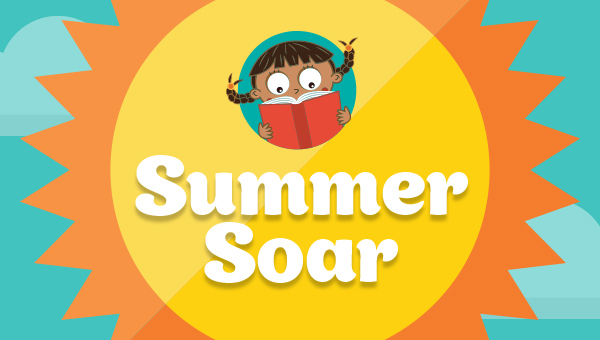 For more information about Summer Soar, click here to watch a recording of our webinar ReadyTeacher Chat: See Summer Learning Soar.